Goodwin Consulting Group prepares analyses of the economic impacts that proposed projects will have on a local jurisdiction, existing retailers in a community (including sensitive downtown areas that may be part of ongoing revitalization efforts), or the regional competitive marketplace. These analyses consider job creation and pay levels (during both the construction and operational phases of a project); direct, indirect, and induced impacts; retail sales capture and leakage patterns; cannibalization of existing sales tax revenue; and other impacts a proposed project may have on the local economy. GCG has prepared analyses associated with a variety of unique land uses, including golf courses, time-share units, age-restricted projects, auto malls, horse racing facilities, airport-related industrial uses, and hotel/conference center facilities. GCG’s market absorption analyses evaluate the projected timeframe within which a proposed development project can be expected to absorb within the local marketplace. Alternatively, a GCG market study can be used to determine the most feasible land uses for a site as the land use plan is being developed. GCG evaluates supply and demand dynamics within primary, secondary, and tertiary trade areas, as applicable. GCG’s contribution to the planning process avoids a costly plan being prepared that is subsequently determined to be infeasible in the competitive market. Analyses prepared by GCG have been used: (i) to determine the highest and best use for vacant parcels, considering other land uses and accounting for both existing and proposed competitive projects in the area; (ii) as the basis for land use decisions at the general plan or specific plan level; and (iii) to construct land use policies that set forth reasonable density requirements based on market conditions. 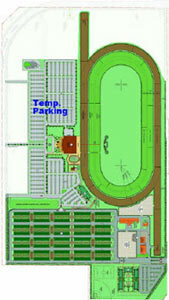 A mixed-use destination entertainment and retail complex on 260 acres along Interstate 80, the Dixon Downs project was proposed to include a state-of-the-art thoroughbred horse racing and training facility, a finish line pavilion with a 6,800-person seating capacity, over 1.2 million square feet of retail shops and restaurants, a 20-screen movie theater, and professional office, hotel, and conference facility land uses. 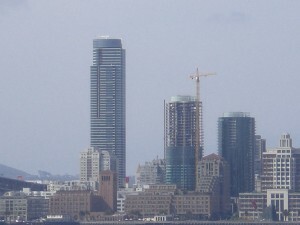 GCG prepared, distributed, analyzed, and compiled the results of a comprehensive survey to all businesses within the City to assess current economic conditions, to quantify land use, employment, and other variables, and to confirm other published sources of data being used to determine the context within which economic impacts could be measured. GCG then estimated the economic impacts of the development to the private sector economy in Dixon, including the direct, indirect, and induced impacts on employment, compensation, and total industry output, during project construction and at buildout. Detailed job category and salary range information was developed as well. GCG also conducted a comprehensive analysis of the project’s fiscal impacts on the City’s operating budget, including a detailed evaluation of the “Tucker Bill” tax revenue generated from live racing and simulcast wagering handle. The fiscal analysis involved multiple sensitivity tests based on land use scenarios, phasing assumptions, and other factors. As part of the City’s General Plan update, GCG prepared a summary of the current demographic and economic conditions, including details related to population, labor force, and employment. Based on historical trends at the city, county, and regional level, GCG developed projections for residential and non-residential land uses through 2030. GCG also prepared an assessment of the City’s current economic conditions. Comparing regional employment growth with the State’s employment growth as a benchmark, GCG developed a target industry analysis that helped to identify specific industries on which the City should focus its economic development efforts. In addition, GCG conducted a market assessment of potential demand for retail, office, and industrial uses in the City. Finally, GCG established qualitative criteria to evaluate GPU land use alternatives, and assisted in evaluating the options and selecting a preferred alternative. The assessment helped the City select the optimal land use mix within its future planning area. 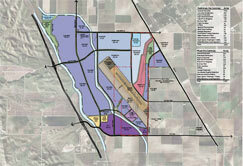 GCG prepared an economic and fiscal impact analysis for the Northeast Fairview project in San Benito County. The project is proposed to include over 1,000 residential units and 180,000 square feet of office and commercial land uses. 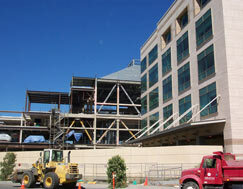 The economic impact analysis summarized temporary construction-related impacts as well as permanent operational impacts anticipated in the County as a result of the project. The fiscal impact analysis compared the annual costs of providing public services against the annual revenues, such as property taxes, that will be generated by new development to determine the net fiscal impact on the County’s General Fund. The analysis also involved assessing both the primary and secondary property transfer tax impacts of existing households within the County moving into the project area. GCG also served as special tax consultant to form a CFD that mitigates the project’s potential adverse fiscal impacts on the County. GCG prepared a report compiling statistics, trends, and forecasts of population, housing, and employment as part of an existing conditions analysis for the City’s General Plan Update (GPU). GCG also conducted a detailed market analysis to describe supply and demand dynamics and to develop projections for retail, office, and industrial land uses. The projections were complicated by the fact that existing City limits contain infill areas with further development potential, as does an entirely new development area south of City limits but within the City’s sphere of influence, and the projections needed to be bifurcated in order to understand where demand was being generated and where supply would be best suited between these two areas. GCG continues to work on the GPU, with next steps involving development and analysis of GPU land use alternatives. GCG analyzed the impacts that a proposed satellite wagering facility at the Dixon May Fair would have on satellite wagering operations at the California Exposition and State Fair (Cal Expo) and Solano County Fair. Demographic, simulcast handle, and attendance data were analyzed for comparable facilities, and an estimated target market was identified for the Dixon facility within a 30-minute drive time. Based on the research performed, GCG estimated the amount of annual simulcast handle that could be generated from the proposed satellite wagering facility at the Dixon May Fair and calculated the potential decrease in simulcast handle for the Cal Expo and Solano facilities. The West Park project encompasses approximately 4,800 acres of planned non-residential development, including the redevelopment of the former Crows Landing Naval Air Facility. Using the IMPLAN data set, a widely respected model developed by the Minnesota Implan Group, GCG prepared an estimate of the economic impacts created by the project on the private sector economy. The report calculated the estimated jobs and economic activity generated during project construction, and the estimated jobs and economic activity generated by residents, employees, and businesses that will live, work, and operate within the project after it is completed. The Villages of Patterson project is a master planned community situated northeast of the City of Patterson and proposed for annexation into the City. A total of 3,100 dwelling units, expected to be home to almost 9,000 new residents, is proposed and includes a mix of housing types and densities. In addition to the housing component, approximately 40 acres of non residential land is composed of light industrial, retail/commercial, and live/work uses. GCG estimated the demand and absorption of commercial land uses within the City, particularly with respect to the potential retail demand generated by the project’s residential component. GCG prepared a fiscal and market analysis to evaluate the impacts of the Stonehaven project on the City of Woodland under the current commercial zoning designation and a proposed residential zoning designation. The market study evaluated the feasibility of an 11-acre site developing under its current land use designation and provided information regarding the regional and local economic setting. GCG also evaluated the dynamics between supply and demand for retail, office, and hotel land uses and determined the most efficient use of the site relative to other undeveloped sites in the City.